Arrive in Shanghai. You will be met at the arrival hall of the airport and transferred to hotel. Free time for the rest of the day. Hotel pickup. Start our sightseeing with Jade Buddha Temple. The temple is famous for the two precious jade Buddha statues imported from Burma. Proceed to visit Yu Garden, which was a private garden built in the Ming Dynasty and is a representative classic garden in South China. Then come to the Nanjing Road, the first commercial street of China, and the Bund, which boasts different foreign style buildings of the city’s colonial period. Free time until be transferred to the airport for Xian. Our Xian guide will wait for you at the arrival hall and transfer to hotel. Free time for rest of the day. Let’s begin our exploration in this cultural city. 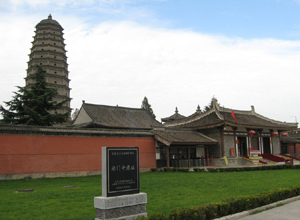 The Bell Tower is regarded as the Xian city’s symbol and we will ascend it to the top and get a bird’ view of the surrounding areas. The Muslim Quarter lives most of the Muslim community of the city and is now famous for the bazzar with delicious Muslim food and Xian food. The Great Mosque is one of the best preserved ancient mosques in China built in Chinese style architecture. 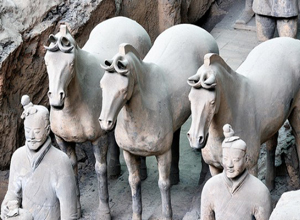 Today we will withness the great Terracotta Warriors and Horses underground army of more than two thousand years ago. After that we will transfer to the ancient City Wall at the top of which you can overlook the city by a pleasant stroll or by biking. Xian airport drop off after the tour. End of our service.